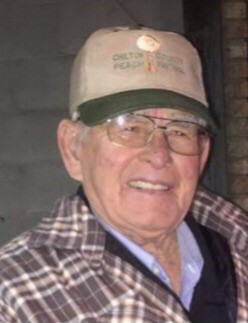 NEWTON EUGENE SCARBROUGH age 86 of Clanton, passed away on February 3, 2019 at Jackson Hospital in Montgomery, AL. He was born in Clanton on January 22, 1933 to the late Jasper Dow Scarbrough and the late Pearlie Brown Scarbrough. He is survived by his wife of 67 years, Bobbie Scarbrough of Clanton; Children, Jackie (Angie) Scarbrough of Rockford, Jennifer (David) Wendt of Clanton, Greg (Denise) Scarbrough of Clanton, and Vince (Teresa) Scarbrough of Sellersburg, IN; 10 Grandchildren; 4 Great-grandchildren; and Brothers, Wallace (Lou) Scarbrough of Albertville, AL and Ken Scarbrough of Clanton. He is preceded in death by his parents, Jasper and Pearlie Scarbrough; and siblings, Agnes Cleckler, Marie Knight, Jasper Scarbrough, Jr., and Edward Scarbrough. Funeral services will be held on Wednesday, February 6, 2019 at 2:00pm from the Pleasant Valley Baptist Church in Verbena with Bro. Vince Scarbrough and Bro. Wayne Smith officiating. Burial will follow in the Mt. Pisgah Cemetery in Clanton. The family will receive friends on Wednesday at the church from 12:30 - 2:00 pm.